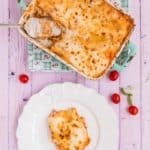 Pasticho is the Venezuelan version of Lasagna. 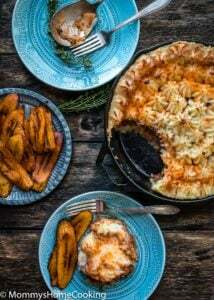 This Venezuelan Pasticho is creamy, cheesy, full of flavor and totally irresistible! Try it. We’re just a couple of days away from spring but we had another snow day … This has been a long winter! We are so ready to see the trees blooming, temperatures rising, having picnics and going to the park. I think this will be a fun spring for us since the kids are older, which will allow us to do more activities. Meanwhile, we keep cooking delicious things. In this occasion, I’d like to share my “Pasticho Venezolano” recipe. 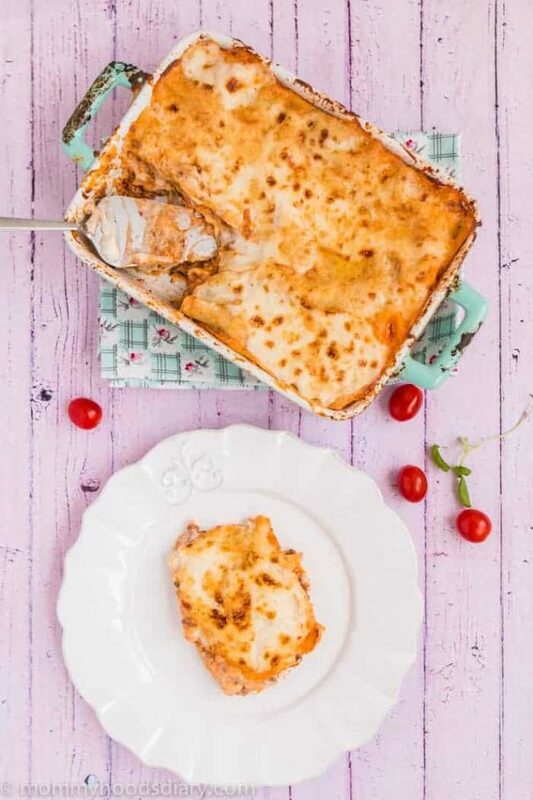 Pasticho is the Venezuelan version of Lasagna. It is very creamy since it has bechamel sauce. YUM. 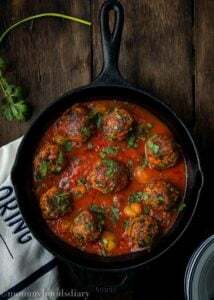 This is a very popular dish back home. Each family has its own recipe – which is guarded jealously. In my opinion, the secret of good or Pasticho is meat sauce. I remember how preparing Pasticho was a lot of work. I looked at it almost like a marathon. So, I cooked it only on special occasions. Now, I always have frozen meat sauce in the freezer and I also use pasta that requires no previous cooking. The bechamel sauce is made in 10 min so if you plan in advance you can have a delicious Pasticho without all the work. Prepare Bechamel sauce: In a medium pot, melt butter over medium heat. When butter has completely melted, add the flour and whisk until smooth, about 2 minutes. Gradually add the milk, whisking constantly to prevent any lumps from forming. 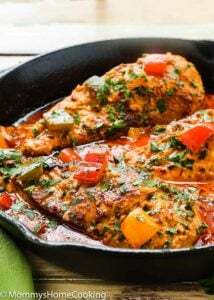 Add salt, nutmeg and pepper and continue to simmer and whisk over medium heat until the sauce is thick, smooth and creamy, about 5 - 8 minutes. The sauce should be thick enough to coat the back of wooden spoon. Remove from heat and check for seasoning. Set aside. Preheat oven to 375º F. Line a large baking sheet with aluminum foil. Spray with butter a 13 x 9-inch baking dish. Spread 1/2 cup of the bechamel sauce into the bottom. Assemble Pasticho: Arrange the 3 pasta sheets side by side, covering the bottom of the baking dish. Evenly spread a layer of bolognese sauce, about 2 cups. Spread 1 1/2 cup of the bechamel sauce. Sprinkle 1/2 cup of parmesan cheese on top. Arrange another 3 layer of pasta sheet, bolognese sauce, bechamel sauce and parmesan cheese. Repeat. Arrange the final layer of pasta sheets and top with remaining béchamel and Parmesan cheese. Cover the lasagna dish with aluminum foil and place it on the baking sheet. Bake on the middle rack of the oven for 45 - 50 minutes, or until top is bubbling and the pasta is tender. Remove cover and continue to bake for about 15 minutes or until the cheese on top becomes golden. Let stand for 8- 10 minutes before serving. Hello Keelin! Thanks so much for trying my recipe. Did your boyfriend like the Pasticho? He loved it and we are making it again, he wants to add ham this time…. Hello Keelin! Ham is a great addition to this recipe ???? Happy New Year and thanks for coming back and leaving your feedback. I just stumbled upon your site looking for some Instant Pot recipes. My name is also Oriana and I am also from Venezuela! What are the odds?! 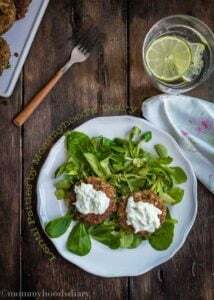 I love your site – thank you for sharing your recipes. Hola Oriana!!! I am so glad you found me. I love when Venezuelans visit my blog. Thanks for stopping by and for your comment ???? BTW, beautiful name LOL ???? I’m confused about some things. I bought a huge container of sauce because the recipe calls for 8 cups of bolognese I barely used any. I bought Barilla lasagna noodles and the box said it requires boiling the noodles beforehand. The last thing: is it really Parmesan cheese that in supposed to use? Or mozzarella? I Lyn just trying to make sure. It’s all in the oven right now but it’s not looking too promising. Hello Chelsea, I add about 2 1/2 cups of bolognese sauce per layer since I like the Pasticho to be very saucy. The sauce also helps the pasta sheets to cook. 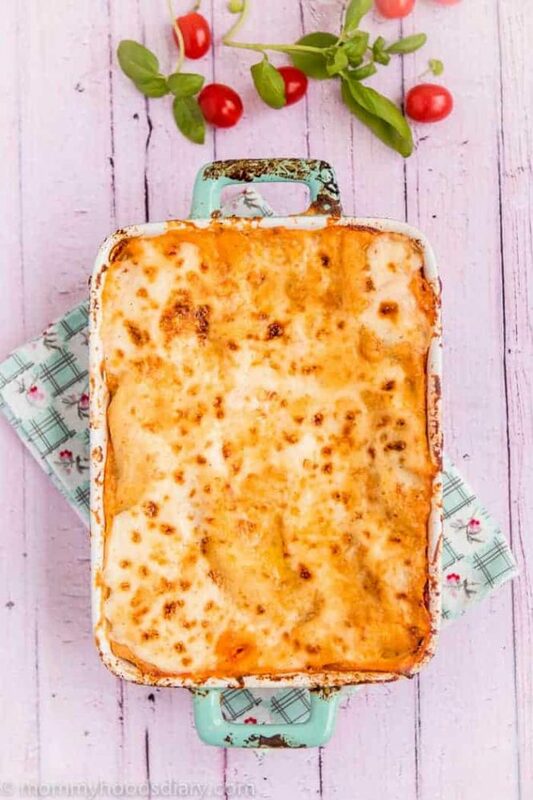 As I mentioned on the recipe I use Barilla Pasta, Oven Ready Lasagne, you can see it here >>> http://amzn.to/2sEkT7A. It’s Parmesan cheese but can definitely use half mozzarella half parmesan, or just mozzarella, it’s totally up to you. Please let me know if you have any other question. Thanks for stopping by ???? So excited to try it. 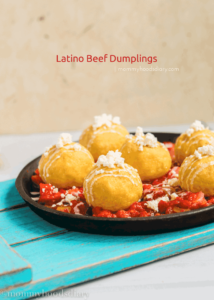 I’m from Venezuela but live in the US and lately have been wanting to make traditional dishes from back home…so glad I found your blog! Love it. Hello Natalia!! I’m very glad you’re here =). Please let me know if you want any particular recipe. Saludos. Se me hace agua la boca con esta delicia. Me encanto! me llevo la receta. 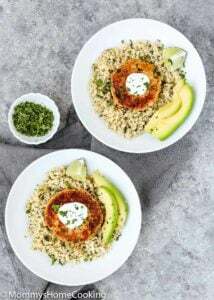 Gracias por compartirnos la receta. Back in Maracaibo there was a place called D’Antonio, they had the best pizza and pasticho!. I remember it was a few blocks away from el colegio, so when my parent’s had no time to take us home, cook luch and then drop us off at grandma’ we would stop by there and OMG! It was so delicious!. I love pasticho, my mom prepares it with chicken and it is really good too. I am trying to lose weight too but hey! pasticho es pasticho chama!